ALEXANDRIA: Kay E. Cox, 78 of Alexandria died Tuesday, September 25, 2018 at his residence after an extended illness. Kay was born in Anderson, IN on February 14, 1940 and was the son of David and Phyllis (Lamb) Cox. He married Sue (Weaver) Cox who preceded him death on June 26, 2013. He was a graduate of Alexandria High School Class of 1958 and received his Bachelors of Science degree in Animal Science from Iowa State University. He was a member of the Union Chapel Community Church and had served for several years on the Monroe Twp. Advisory Board. Kay served his country during the Korean War enlisting in the United States Army. Kay was a life time area farmer. His love for farming started as young child following his grandfather around the farm and helping him and continued farming for the rest of his life. Left to cherish his memory is his brothers, John (Beverly) Cox and Phil Cox. His nephew, Lance Cox and nieces, Angie (Jim) Rose, Erica (Neil) Brown and Jessica Cox; great nephews and nieces, Shellie, Bryan, Kylie, Faith, Ashlee, Tristan, Ben, Josie, Jacob and Katelyn. Also surviving is his extended family, Doug and Cindy Hieatt and their children, Colton, Todd and Trey and Julie Hieatt-Davidson and all his friends at John's Diner. He was preceded in death by his parents and his wife, Barbara Sue Cox. Services for Kay will be Monday, Oct. 1, 2018 at 1:00 p.m. in Whetsel Funeral Service, Alexandria with Rev. Michael Thompson officiating. Burial will follow in Park View Cemetery. Friends may call at the funeral home on Sunday, Sept, 30, 2018 from 4:00 p.m. to 8:00 p.m. and one hour prior to the service on Monday. In Lieu of flowers, the family requests memorials be made to the Madison Co. 4H Assn., 3424 Mounds Rd., Anderson, IN 46017 or Union Chapel Community Church, 1209 N Harrison St., Alexandria, IN 46001 or in care of the funeral home. The Whetsel family is honored to celebrate Kay’s life with his family and community. 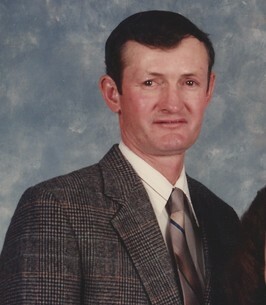 For additional obituary information and online condolences visit: www.whetselfuneralservice.com. 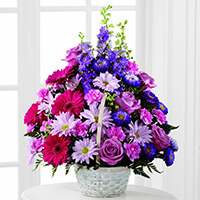 To send flowers to the family of Kay E Cox, please visit our Heartfelt Sympathies Store. We encourage you to share any memorable photos or stories about Kay. All tributes placed on and purchased through this memorial website will remain on in perpetuity for future generations. My fondest memories of Kay were of his life as a farmer. I loved how every year, he and his dad invited the kindergarten kids to come take a tour of the horse farm and Kay's pig farm. The children would leave the horse barn and walk across the pasture to the pig farm. On the way, they were advised to pick some of the wild mint to hold up to their nose if necessary. The kids and teachers loved seeing and learning about life on a farm. Kay also enjoyed having the children come to his farm. Another experience I had with Kay was living across from one of his cattle barns. Whenever we had a winter storm, he would let us know that after he got to his livestock, he would then bring his tractor over to our house to shovel all of the snow. We laughed about how his animals came first, but I admired his dedication to his livelihood. A great memory was in the spring. We had to keep our windows closed when everything started to thaw. Kay knew I was a city girl and was interested in this new life in the country. He called me one time to let me know a calf was ready to be born. My daughter and I loved seeing the birth of this calf. There were times when Kay had to bottle feed some of the calves. We were lucky to help him feed this precious new life. I remember Kay taking care of every stray cat that found it's way to his barn. He also took care and fed a few wild dogs. Since his birthday was on Valentine's Day, Jessica and I would ride our bikes to Uncle Kay's house to bring him a cupcake and sing Happy Birthday. Years later, Jessica's first son was born on Uncle Kay's birthday. He will be missed, but not forgotten. Thanks for the memories dear Kay.